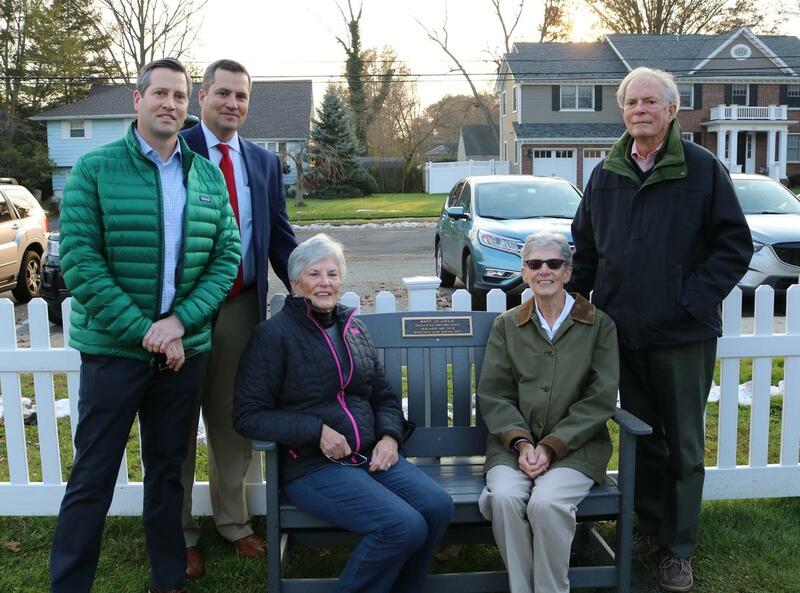 The Jefferson Parent Teacher Organization (PTO) collected donations to purchase two benches and a beautifully crafted plaque to memorialize Mary Jo Juelis, who taught at Jefferson from 1987 to 2016. Superintendent Dr. Margaret Dolan praised Mrs. Juelis as the “consummate professional” whose students were always engaged and who mentored novice teachers as they started their careers. Juelis’ husband, John, and two of her three sons were on hand for the ceremony as were two of her sisters-in-law. Jefferson PTO co-president Caraline Koellhoffer noted that Mrs. Juelis was the type of teacher who looked at each child as an individual and who earned respect from her students.